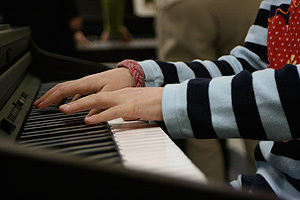 At the beginning of each semester The Music Garden holds required Parent Orientation sessions. Experience has shown that the parents who stay interested the role of music in early childhood, its potential and its realities, are more likely to stay involved and stay interested in our program through the difficulties that are life's eventualities. If parents stay involved, it is ultimately the child who benefits. The orientations are Adults only, with the exception of young, pre-crawling infants. (You are welcome to inquire for exceptions to this. We want to accomodate all who are interested.) Mom, Dad, Grandmother, Grandfather, Nanny (etc) are encouraged to attend. All significant adults in the child's life. It is an opportunity to look deeper into why we do what we do....both music and parenting. Some have attended in the past. It is required every semester you are enrolled. The material will be fresh and your insights will be new having experienced some classes with your student. Your questions, comments and observations as an experienced Music Garden parent are invaluable. BASIC Orientation - for those new to the program or who have not been able to attend in past. CONTINUING Orientation - for those who have attended basic in the past. All are welcome. 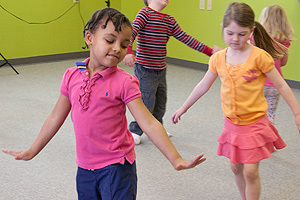 If you are interested in learning more about our program, you may also email us at themusicgardenstudio@gmail.com We are happy to have new families learn more about our programs.